In the final weeks before the massive 2017 Rohingya exodus from Myanmar, reports indicate that the vast majority of Rohingya settlements suffered violence, often extreme, at the hands of Myanmar security forces and civilians. 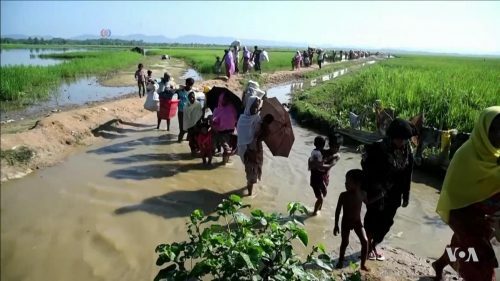 As part of a large-scale and unique research effort to determine the scope, scale, and patterns of these attacks, Physicians for Human Rights (PHR) surveyed leaders from 604 Rohingya hamlets in Myanmar’s Rakhine state encompassing more than 916,000 people. The findings, coupled with in-depth interviews and forensic medical examinations of Rohingya survivors, point to a widespread and systematic pattern of targeted violence – including rapes and killings of women, men, and children – that drove more than 720,000 Rohingya into neighboring Bangladesh. Dr. Parveen Parmar from USC School of Medicine and former FXBer (and current HSPH Chan school affiliate) Jen Leigh will present the findings of these studies. FXB’s Dr. Satchit Balsari will moderate. This seminar is part of the BRAC-Research Partnership with Harvard, in collaboration with the FXB Center for Health and Human Rights, the Lakshimi Mittal and Family South Asia Institute, and the Asia Center, all at Harvard University.